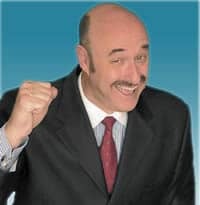 Phillip Calvin “Phil” McGraw, known as Dr. Phil, is an American television personality, author, psychologist, and the host of the television show Dr. Phil, which debuted in 2002. McGraw first gained celebrity status with appearances on The Oprah Winfrey Show in the late 1990s. 1970: McGraw married his first wife, an ex-cheerleader and homecoming queen named Debbie Higgins McCall, in 1970, when he was 20 years old. 1975: McGraw graduated in 1975 from Midwestern State University with a B.A. degree in psychology. 1988: On October 21, 1988, the Texas State Board of Examiners of Psychologists determined that McGraw had hired a former patient for “part-time temporary employment”. 1990: In 1990, McGraw joined lawyer Gary Dobbs in co-founding Courtroom Sciences, Inc. (CSI), a trial consulting firm through which McGraw later came into contact with Oprah Winfrey. 2002: According to the Today Show, the California Board of Psychology determined in 2002 that he did not require a license because his show involves “entertainment” rather than psychology. 2004: Facing a Federal Trade Commission investigation into Shape Up’s claims, McGraw pulled his supplements off the market in March 2004, and the FTC dropped its probe.